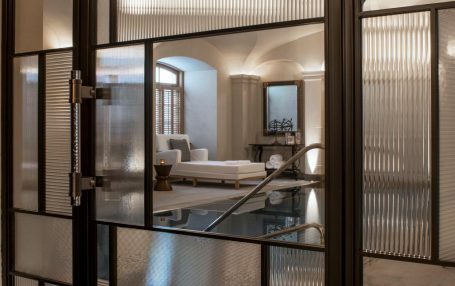 Valentine’s Day is traditionally a time to lavish on loved ones some special care and attention, and the Four Seasons Hotel Prague is the ideal romantic heaven with Valentine’s Day offerings at its newly opened AVA Spa and CottoCrudo restaurant. In a perfectly romantic, candlelit atmosphere and against the spectacular backdrop of Prague Castle, CottoCrudo restaurant offers its special ‘Romeo et Juliette’ menu inspired by Venetian cuisine, including traditional meals for the region of Veneto, including Baccala ravioli with radicchio sauce and polenta chips. For those who prefer to pamper themselves, the Four Seasons Hotel Prague has the perfect Valentine’s Day present: a Touch of Love treatment for two in the Rhassoul couple’s suite at the AVA Spa, which offers rest, relaxation and bathing while looking out over breath-taking views of Prague. With a warming and relaxing full body massage with Hot Stones that will melt away all tensions, the body will be relaxed in mind and soul. Follow this with a nurturing and hydrating facial exfoliation and hydration, for revitalised and glowing skin. The Touch of Love treatment takes 80 minutes and is priced at CZK 11,500.